THE results are in: Gladstone Power Station workers are willing to stop work to battle against proposed changes to their employment agreement. Gladstone Power Station workers voted in favour of protected industrial action in a combined unions ballot. The Services Union was the first to reveal the "resounding" support for strike action, with many other unions following suit throughout the day yesterday. The strike action follows eight months of failed negotiations between unions and power station management over proposed changes to the agreement. Of The Services Union's 23 members on site, one voted against stopping work. All 51 Australian Manufacturers' Workers Union members voted for action, and the 12 members of Australian Worker's Union voted for protected industrial action too. Of the 37 Electrical Trades Union members, 35 responded to the ballot, all voting for action. This Wednesday management and unions will meet with the Fair Work Commission for a conciliation hearing regarding the EBA. 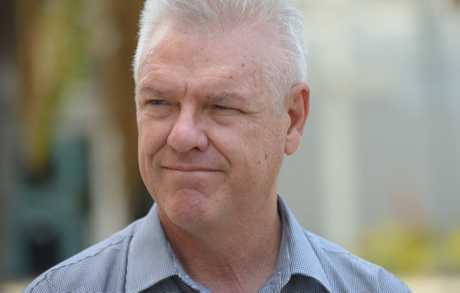 Gladstone Power Station acting general manager Nigel Warrington expects a review of the EBA bargaining process to take place at the meeting. A community protest rally will be held this Wednesday at 5.30am outside the power station. GLADSTONE Power Station workers are getting ready to strike against proposed changes to their employment agreement. The Services Union confirmed today its Gladstone Power Station members have voted in favour of Protected Industrial Action. The vote result allows its members to legally strike. The strike action support comes less than two weeks after power station operator NRG applied with the Fair Work Commission to terminate the current Enterprise Bargaining Agreement. The Services Union secretary Neil Henderson said union members at NRG would fight for local jobs for as long as it took. Of its 23 members on site, one voted against stopping work. Mr Henderson said there was a "resounding yes vote" supporting strike action. He described the company's move to apply to terminate the agreement as "bully tactics". 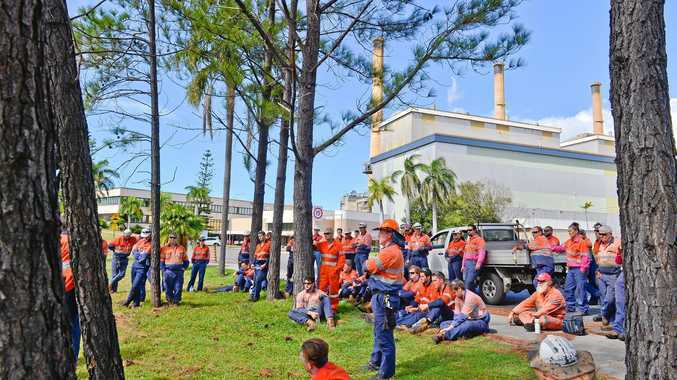 MP backs protesters at NRG : Gladstone MP Glenn Butcher and Australian Manufacturers' Workers Union delegate Andrew Lockwood speak at today's protest outside the Gladstone Power Station. "That is just bully tactics from a company desperate to push the boundaries using laws which unfairly tip the balance of power against workers," Mr Henderson said. "Union members will not take this type of behaviour lying down and we will be holding a Community Protest Rally this Wednesday, 7 June at 5:30am outside the Gladstone Power Station, to show the management at NRG, that we will stand up for local jobs, local families, local businesses and the local economy." The Observer is seeking results on Protected Industrial Action ballots conducted by other unions for the NRG dispute. NRG has been approached for comment.